News flash: You don’t want to be busted by this spotlight. The era of the “puzzle-platformer” video game—in which players run through a 2D world with a weird gimmick or two to spice up the old Mario formula—has long passed. The late-’00s saw games like the time-bending Braid and the high-speed, tough-as-nails Super Meat Boy offer a breath of fresh, side-scrolling air, but those inventive gems were followed by a mess of games with much less heart. One of the last greats in that era was Limbo, one of the best indies of 2010. That haunting, wordless game smeared its black-and-white world with a smoky blur and a preoccupation with death, and the results were visually and emotional staggering—but they had less impact in terms of gameplay. Its side-scrolling puzzles were occasionally clever, but they were there not so much to bend the player’s mind as to spread out the pacing of the game’s somber tale of a brother and a sister. 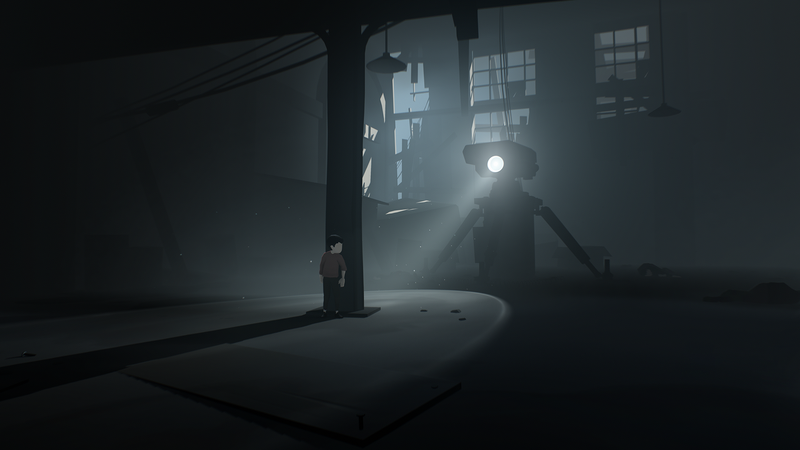 The Danish team at Playdead took its time crafting a follow-up game, and they could have spent those six years inventing a more innovative gameplay hook. But that’s clearly not where their hearts are. Instead, these Danes have returned with Inside, a side-scrolling journey that once again doubles down on atmosphere over puzzles—and is all the better for it.